Tag Archives: Jabba on the Dais! 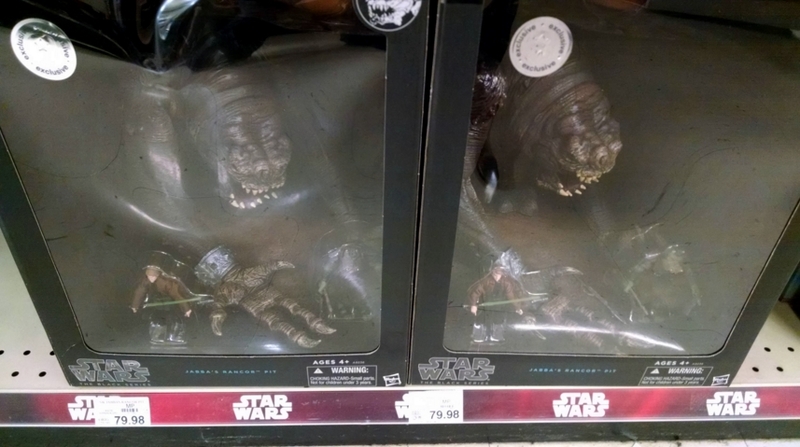 The Toys”R”us exclusive Rancor Pit set has been discounted to $79.99 now on remaining stock – quite the deal for this fantastic set. As always, your mileage may vary as some stores are obviously sold out by now. 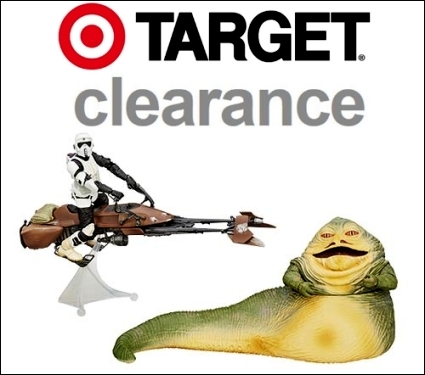 As you are likely aware, Target stores are marking down basically everything in their older Star Wars inventory prior to the Force Friday launch September 4. Some stuff is down 50% now, including the 6″ scale deluxes at some stores for just $12.48 per forum member TVC15’s report (recall Target lowered the everyday price on these a while back once it became apparent that there wasn’t enough demand to move them at full retail of $39.99). 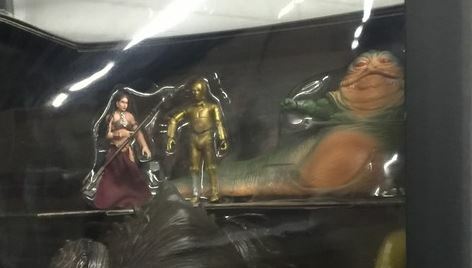 Rebelscum forum member Holographic_Elvis has posted a new image of the upcoming “Jabba’s Rancor Pit” set in their forums. Check out the full size image in all its glory here. He notes that the retail price will be $130, and that it’s marked as a Comic Con product, but we should expect to see them in stores soon. Is the price just too much for this? 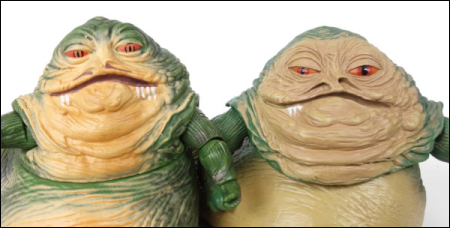 Or are collectors willing to shell out that kind of money for a set of repacks, but with a new Jabba? Head to our forums to share your thoughts! Thanks to darthmac for the heads up! All entries are in for Yakfinities #52 – Jabba’s Entourage – and we’ve got another big Roundup Report for your viewing pleasure! Check out all the fantastic entries (nearly 50 new customs) by clicking here, and see who is walking away with some cool Black Series action figures! The current Yakfinities Customizing Challenge runs through July 31 – have you gotten your entry in yet? If not, head to the forums to submit your custom, or check out the latest entries by clicking here. UPDATE: Deadline is July 31 for this one due to an oversight on my part. Sorry for the confusion. A new Customizing Challenge is upon us, and we’re back to more Original Trilogy goodness with this one – Jabba’s Entourage! Of course though, as with all Yakfinities, customizers can branch out and create fan fiction characters, and certainly the prequels and Clone Wars characters that are part of Jabba’s gang are fair game too. Whether you are a crafty veteran customizer or have never even attempted to make a custom figure, we welcome you to join in Yakfinities #52 – Jabba’s Entourage and show off what you’ve got! As always, we’ll have some random prize winners selected after this wraps up at the end of June. Forum member Evilivo has updated his customizing thread with some real gems for your viewing pleasure, including a reworked Jabba the Hutt. Check out his custom upgrades thread and enjoy the pics after the jump!